India’s Polar Satellite Launch Vehicle (PSLV-C45) today successfully launched EMISAT and 28 international customer satellites from Satish Dhawan Space Centre (SDSC) SHAR in Sriharikota. सतीश धवन अंतरिक्ष केंद्र (एस.डी.एस.सी.) शार, श्रीहरिकोटा से भारत के ध्रुवीय उपग्रह प्रमोचन राकेट (पी.एस.एल.वी.-सी45) ने आज एमिसैट तथा 28 अंतरराष्‍ट्रीय ग्राहक उपग्रहों का सफल प्रमोचन किया। यह उड़ान चार स्‍ट्रैप-ऑन मोटरों वाले पी.एस.एल.वी. 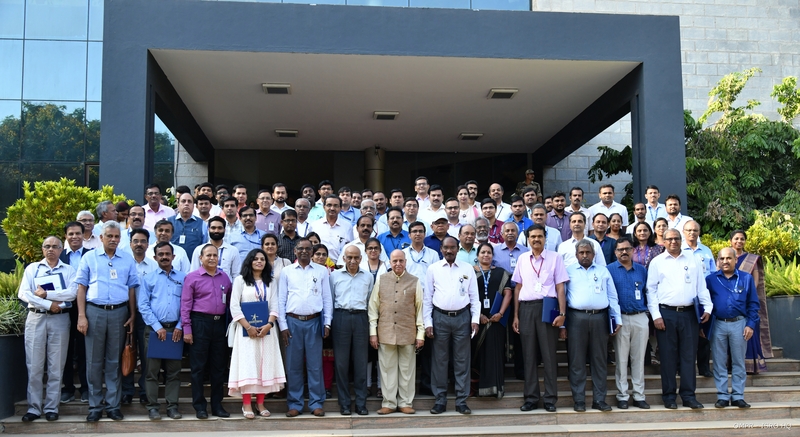 The Indian Space Research Organisation (ISRO) gave away awards to 96 individuals at a ceremony held at Antariksh Bhavan in Bengaluru on Wednesday.